Greggs hailed for ‘masterful marketing’ over vegan sausage roll: Greggs has been praised for its vegan sausage roll marketing campaign. It was called a “masterclass in public relations” by industry magazine PR Week. The campaign was delivered with a sense of humour and made no attempt to preach a vegan message. Its YouTube advert parodied the tone of an iPhone commercial and garnered five million views on social media. Journalists were sent vegan rolls in mock iPhone packaging and stores sold Greggs Christmas jumpers and sausage roll phone cases. Neil Knowles, the company’s digital brand communications manager, said: “While we always anticipated it to be huge news, we never expected the reaction to gain as much momentum as it has done.” John Brown, founder of communications agency Don't Cry Wolf, called the campaign a “blueprint” for anyone in marketing, particularly the clever way Greggs “stirred the pot”. “A lot of companies would be terrified of offending the vegan lobby so it takes a bit of guts to treat the whole thing as a bit of fun – for instance with the iPhone theme. A lot of vegans do own Apple products – that’s a neat touch,” he said. Pubs in Scottish Highlands buck pub closure trend: Pubs in the Highlands of Scotland are bucking a UK-wide trend of pub closures. Since 2008 almost a quarter of pubs in the UK have shut, according to Office for National Statistics (ONS) analysis. However, the study shows in the Highlands there are 14% more pubs than there were ten years ago. Paul Waterson, of the Scottish Licensed Trade Association, said a major factor behind the growth was that pubs had done well catering for tourists. Tourism is the Highland region’s most important industry and supports 25,000 jobs. Provisional figures for last year suggest almost 6.5 million visitors came to the area. According to the ONS, more than 11,000 pubs have closed in the UK in the past decade – a fall of 23%. In Scotland, East Renfrewshire and East Ayrshire saw the largest decline in pub numbers. The two areas have 40% fewer pubs than ten years ago. Other areas of Scotland have also seen declines including Moray, Angus, Fife and the Scottish Borders, where the numbers have fallen 20% or more. In comparison, the Highlands and East Dunbartonshire have seen an increase of 20% or more in the number of pubs. Heineken reports big growth in alcohol-free beer: Heineken UK boss David Fore has told the Mail on Sunday the company sold 15 million bottles of its non-alcoholic 0.0 beer last year in a trend driven by millennials. He predicts the figure will double in 2019 to 30 million – and even overtake market leader Becks Blue – as the company pushes 0.0 as a soft drink alternative to Coca-Cola or coffee. “I see it with my son, who is 20,” he said. “He will pull our alcohol-free Heineken 0.0 out of the fridge three out of every four times he has a beer. If we didn’t have 0.0, he’d drink water. The industry didn’t do a great job with alcohol-free beers in the past. They didn’t taste great and I think this is the first time we’ve really cracked it. Ninety per cent of all beer sold in pubs is draught. If you can offer people a pint in a nice branded glass, we think they will embrace alcohol-free beer.” A test of draught 0.0 in 100 bars last year was a “runaway success”, Forde said, so in the first three months of this year Heineken will install pumps in 3,000 pubs around the country. The company is also gearing up to launch an alcohol-free version of its premium Italian beer brand Birra Moretti, which Forde said should be in supermarkets and pubs later this year. UKHospitality condemns Department of Health consultation on price promotions: UKHospitality has condemned a move by the Department of Health to begin a consultation on price promotions. The consultation focuses on restricting volume-based price promotions of food and drink high in fat, sugar and salt that encourage people to buy more than they need – for example “buy one, get one free” and free refills of sugary soft drinks. Chief executive Kate Nicholls said: “It is staggering government has launched this consultation while the food industry is trying to plan for a no-deal Brexit. It also jars with recent comments from the Health Secretary stating now is the time to stop legislating to deal with the excesses of the few and to rein back the nanny state. We support efforts to promote healthier eating habits and the sector continues to take decisive, proactive action in a range of areas. Price promotions in the out-of-home sector are designed to provide good value to hard-pressed consumers, which our members do on a daily basis allowing people the opportunity to treat themselves when dining out. Year-on-year food inflation has climbed to over 6% so this latest proposal is clearly unhelpful and, with more uncertainty in food supply on the horizon because of Brexit, means the sector faces challenging times ahead. Hospitality businesses need a supportive operating environment, not nanny state measures that will restrict choice and lead to higher prices for consumers.” The consultation closes at 11.59pm on 6 April 2019. BrewDog US boss to give Las Vegas keynote presentation: Tanisha Robinson, chief executive of BrewDog USA, will deliver the keynote presentation at the 2019 Nightclub & Bar Convention & Trade Show at the Las Vegas Convention Centre. Robinson’s keynote session – on Wednesday, 27 March – will cover how she “pushes the limits of innovation in the ever-changing beverage industry utilising her unique background and perspective on the industry”. Attendees will receive insights into BrewDog’s forthcoming projects and initiatives such as the world’s first crowdfunded craft beer hotel, how the team decided to expand the brand to include a television network, and entering the airline hospitality circuit. In addition, Robinson will share her keys to innovation and industry growth. Footprint launches drinks industry sustainability awards: Foodservice and sustainability-focused firm Footprint has launched an awards event for the drinks industry. The Footprint Drinks Sustainability Awards, sponsored by Matthew Clark, will be the “barometer for sustainability and responsible business practice for the drinks industry in the out of home sector”. The awards are open to drinks businesses of all sizes operating in the hospitality and out of home sectors such as brands, manufacturers, supply chain companies, distributors and operators. To enter, click here. The inaugural awards dinner will be held in September. Crussh starting to reap rewards of investment as it returns to positive like-for-like sales growth and Ebitda in current financial year: Crussh chief executive Shane Kavanagh has told Propel the company is now starting to reap the rewards of its investment in the business – but 2019 will be “when it really sees the results”. The company has revealed it has returned to positive like-for-like sales growth, Ebitda and profit in its current financial year, which ends in March. Kavanagh said he expected turnover to increase about 10% to more than £15m while site Ebitda was currently up by about 40%. He added: “When I joined the business in 2016 we saw the high street was having a tough time. We had a choice. We could either stand still, or invest and look to diversify. We have an experienced and supportive board and shareholders, and they have shown the confidence and desire to invest. Last year was challenging but transformational. This year we’ve re-engineered the supply chain, refreshed the brand, opened four new concessions and signed franchise agreements with SSP and Sodexo. We are now starting to see the benefits but I think it will be in next year’s accounts when we’ll really see the results. The mandate has been to make the business a brand as well as a high-street retailer and we are pretty close to that.” Crussh renegotiated the terms of its banking agreement with Barclays last month and Kavanagh said the deal again demonstrated the strength of the brand. Crussh is about to open its second site in partnership with SSP, at London Bridge, following its transport hub debut at Paddington last year. Further sites are also opening with Sodexo and Kavanagh reiterated the company’s plan to launch up to 12 sites in 2019. He added: “We are also going to do a couple of refits and then we’ll look at a couple more company-owned stores towards the summer.” Kavanagh spoke to Propel on the back of Crussh’s results for the year ending 1 April 2018. Revenue was down to £14,060,000, compared with £14,405,000 the previous year. Pre-tax losses increased to £1,574,060, compared with £452,000 the year before on the back of “some significant capital investment”. Kavanagh told Propel those losses would “narrow significantly” in the current financial year. The board’s commitment to maintaining a strong central team resulted in an underlying Ebitda loss of £565,000, compared with a profit of £81,000 the year before. A product supply trial with Sainsbury’s has been under way since last summer and may lead to extended distribution during the first half of 2019. Founded in 1998, Crussh operates 35 sites across the capital. Rosa’s Thai Cafe aims for up to eight sites a year as it reports turnover and Ebitda boost: Thai restaurant group Rosa’s Thai Cafe is aiming to open up to eight sites a year as it looks to grow outside its main London heartland. The company revealed its plans as it reported a turnover and Ebitda boost in the full year before private equity firm TriSpan acquired a majority stake in the business. Turnover rose to £11,754,000 for the year ending 31 March 2018, compared with £8,198,000 the year before. Ebitda was up to £1,647,000, compared with £1,380,000 the previous year. Pre-tax profit was down slightly to £705,375 compared with £722,496 the year before, according to accounts filed at Companies House. During the period the company opened four sites – in West Hampstead, Seven Dials, Hackney and Tooting – and since the year end a further three sites have opened – in Ealing, Tower Bridge and Bluewater, Kent – taking the total to 15 sites. 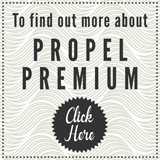 The company also has a site lined up in the Albert Docks area of Liverpool, which managing director Gavin Adair previously told Propel would act as a “bulkhead for a cluster of restaurants in the north west”. In their report accompanying the accounts, the directors stated: “The company’s strategy is to continue to invest in earnings-enhancing sites in London and across the UK, while investing in the teams and processes needed to support that growth. The group expects to continue its expansion plans by opening five to eight sites each year. Many of these are expected to be outside London and the recent opening in Bluewater has shown the concept is well received outside London.” Rosa’s Thai Cafe was founded by husband and wife Alex and Saiphin Moore, who opened their first site in Shoreditch in 2006 and remain involved in the business. TriSpan acquired a majority stake in Rosa’s Thai Cafe in June last year. Street Feast welcomes more than one million visitors in 2018 as it seeks new venues for expansion: Street Feast, which is operated by London Union, has reported it welcomed more than one million visitors to its venues in 2018, while it is on the hunt for further sites around the capital. The company also held 400 corporate events with more than 100,000 guests in attendance, while its Winterville Christmas market returned for a second year on Clapham Common and saw more than 200,000 visitors. Street Feast added 20 traders to its line-up during the year. Regarding plans for 2019, Street Feast said it would host its first fully vegan street food party – Extraveganza – at Dinerama, its 1,000-capacity, year-round street food market in Shoreditch. The company said it would also expand its food offering with new street food traders added to its line-ups, while it has “big plans” to transform its venues in the summer. Hawker House, the company’s 2,000-capacity street food market in Canada Water, which also hosts conferences, will have its capacity extended to 3,000 in the summer. Street Feast also operates 700-capacity eating and drinking “rooftopia” Giant Robot in Canary Wharf and Model Market, a 1,000-capacity, 1950s-style market in Lewisham that operates from May to September. Carluccio’s makes two more key appointments: Carluccio’s has made two new appointments as it continues to strengthen its senior management team to support the brand’s “Fresca” transformation programme. Bruce Craig has started in the newly created role of IT director, responsible for leveraging technology to enhance the customer experience and improve processes. Craig has a wealth of experience, joining from The Restaurant Group where he was head of IT operations. In addition, Carluccio’s has recruited Marco Barletta as operations manager from Fulham Shore’s Franco Manca. Prior to that, he held operational positions at Jackson & Rye and Strada. Barletta will lead delivery of the operational elements of the Fresca restaurant investment programme. Mark Jones, Carluccio’s chief executive, said: “2019 is set to be a transformational year for Carluccio’s as we redevelop the business and enhance the offering through our £10m Fresca roll-out. Our senior team is integral to its success and I am incredibly excited to be working with some real talent to drive the brand forward.” Carluccio’s recently brought in Graham Ford (from Bill’s) as its commercial director with Hilary Ansell joining next month (from Gordon Ramsay Group) as marketing director. Crepeaffaire reports double-digit like-for-like growth over December and January period: Crepeaffaire, the crepe concept backed by BGF, has reported record growth during the 2018 festive period, with like-for-like sales up 18% and January 2019 sales to date up 22%, fuelled by new product initiatives and substantial organisational improvements implemented during the second half of 2018. Daniel Spinath, founder and chief executive of Crepeaffaire, said: “Our new product initiatives in the indulgent and savoury segments and notably our vegan and ‘free from’ ranges have been very well received by existing and new customers alike, and form the basis for further development in the months to come. Also, our recent organisational changes have greatly paid off, dramatically enhancing quality, speed of service and overall buzz.” The brand is on track to open a further five units in the UK during the coming two to three quarters and is working on a number of international projects to consolidate its existing business and open up new territories. Crepeaffaire’s airside launch at London’s Luton airport in December 2018, in partnership with The Restaurant Group, is exceeding expectations and paves the way for further expansion in travel hubs in 2019. Crepeaffaire serves freshly baked savoury and sweet crepes, also available as gluten-free and vegan options, made with organic flour and natural ingredients as well as high-quality waffles, organic coffee and soft drinks. Pattiserie Valerie interim CFO – it may be six more months before invoice payments are back to normal: Patisserie Valerie’s interim chief financial officer has admitted he is having to contend with a large backlog of unpaid invoices and that it could take six more months before the system is back to normal. In a letter to Business, Energy and Industrial Strategy Committee chairman Rachel Reeves, Nick Perrin revealed he had inherited a system in chaos from the previous executive team, which meant he has been unable to produce data on the group’s payment practices. “The group recognises its responsibilities to suppliers and is determined to correct the historical position,” he wrote. “This is a complex and time-consuming task. We are gradually ensuring overdue payments are made and that terms agreed with suppliers are adhered to, but there remains much to do to complete the task.” Perrin was responding to a request from Reeves demanding to know why Patisserie Valerie had failed to publish any reports on its payment practices and asking for information about its payment terms. Craft Beer Co secures Hammersmith site for eighth London venue: The Craft Beer Co, which operates seven sites across London and one in Brighton, has secured a site in Hammersmith. The company, founded in 2011 by Martin Hayes and Peter Slezak, has signed a lease for a pub at Hammersmith station, opposite the Apollo Theatre. Hayes said: “This is a very exciting new venue for us in a prime location. We are thrilled the landlord approached us to take over this highly desirable site. 2018 was a game changer for us due to the purchase of our first freeholds but this starts 2019 with a bang. It was ground-breaking for Peter and myself to have kicked off the UK craft beer pub revolution and it is immensely rewarding to still be going from strength to strength ten years later without taking external investment.” The venue will be reopen in March after a major refurbishment to create a “modern pub with old-school pub values and real hospitality at its core”. Britannia Hotels reports turnover and profit rise: Britannia Hotels, recently named Britain’s worst hotel chain for the sixth year running by consumer group Which?, has reported sales were up 4% to £96.9m, while pre-tax profits rose from £19m to £20.6m in the year ending 31 March 2018. Last June, the company was fined £265,000 for seven breaches of food safety and hygiene regulations at the Adelphi in Liverpool – once the subject of a hit BBC fly-on-the-wall series. Britannia Hotels, which has bought six more properties, increasing its portfolio to 61, said its strategy was to “offer increasing levels of comfort and service while maintaining its highly competitive prices”. Alex Langsam founded the company more than 40 years ago, building an estimated £240m fortune. East London Pub Co reopens The Gun in Spitalfields: East London Pub Co has reopened The Gun in Spitalfields almost four years after the venue closed because of redevelopment work. The company shut the pub, which had been around in one guise or another since the 16th century, in February 2015 prior to the demolition of the London Fruit and Wool Exchange in Brushfield Street. The pub has now resurfaced – opening in the ground floor of the redeveloped building. It’s not the first time the pub has moved or rebuilt. It began life as a tavern serving the soldiers of the Artillery Ground in the 16th century. At one point it moved from 31 to 54 Brushfield Street when Spitalfields Market was redeveloped in the late 1920s. East London Pub Co, which owns the Ten Bells in Spitalfields and The Lock Tavern in Camden, is running the pub as an all-day venue. Executive chef Jimi Tegerdine, previously group executive chef at LeVeL33 Restaurant, Craft Brewery & Bar in Singapore, has produced a standard pub menu of locally sourced dishes, reports Hot Dinners. Gaucho appoints new executive chef: Steak brand Gaucho has appointed Max Castaldo as executive chef. He will research and develop the brand’s menus while coaching and training its chefs. Born in Argentina, Castaldo was most recently head chef and interim executive chef of The Lanesborough, overseeing the hotel’s food and beverage outlets including Michelin-starred restaurant Céleste. He began his career at Nobu Berkeley Street in 2010 before moving to three Michelin-starred restaurant Lasarte in Barcelona. He has also worked for Sushisamba and as head chef of W London hotel in Leicester Square. Gaucho reported its first signs of recovery since exiting administration with an 8% year-on-year rise in covers during November. Martin Williams, M Restaurants founder and a former managing director of Gaucho, was brought in to lead the brand as it exited administration in October after its acquisition by Lomo Bidco, an entity owned by Investec Bank and SC Lowy. Dutch-inspired artisan chip shop concept Chip’d to open debut permanent site, in Chester next month: Dutch-inspired artisan chip shop concept Chip’d is to launch its first permanent site, in Chester’s Northgate Street in early February. Founder Andrew McKechnie has taken inspiration from “twice-fried” chips and sauces served in the Netherlands. He said: “On a recent visit to the Netherlands we found a few cool shops. The interiors were more like coffee shops – they didn’t sell fish or vinegar and the ingredients were really high quality. There was a buzz and everyone was smiling and having fun. I instantly fell in love with what they were doing and wanted to do the same thing back home. We want to be known for serving the best chips in Chester and are already in discussions about rolling out the brand and opening sites in New Brighton and Liverpool.” Chip’d has been operating at food and music festivals across the north west. It uses a “chip, flip, dip” cooking process. Each portion of chips is made to order using fresh potatoes that are chipped by hand. Once fried, they are flipped in sea salt and served in a cone with a range of dips. Dakota to open fifth site, in Manchester this spring: Boutique hotel brand Dakota will open its fifth site, in Manchester this spring. The company will open the 137-bedroom hotel in Ducie Street in May. It will feature a brasserie, bar, champagne room and custom-designed “cigar garden”. Dakota is a partnership between hotelier Ken McCulloch and Evans Property Group. McCulloch said: “Great cities deserve great hotels and I am excited to bring Dakota to Manchester.” Dakota has sites in Edinburgh, Glasgow and Leeds with future sites in the pipeline as the group continues to target key cities in the UK.